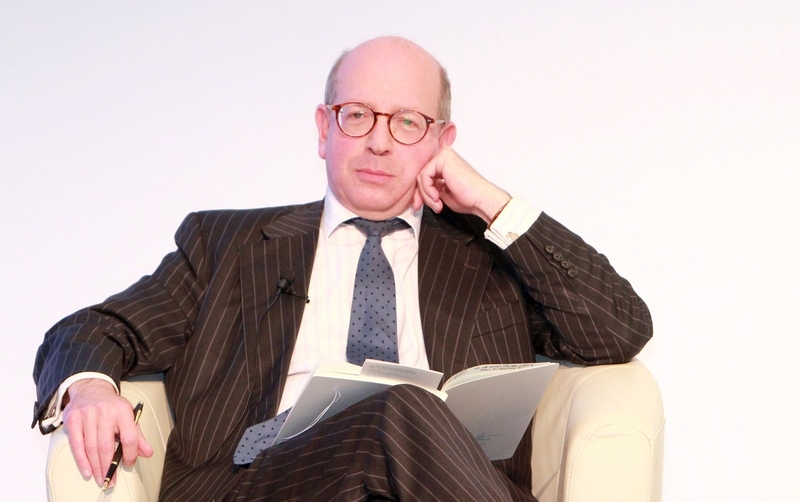 We are delighted to announce that in January 2019, James Sherr will take up residence as Senior Fellow of the Estonian Foreign Policy Institute at the International Centre for Defence and Security in Tallinn. Over the course of the year, he will contribute to the activities of EFPI and ICDS in the areas of Russia’s foreign, security and defence policy as well as developments in Ukraine. Mr Sherr is an internationally renowned and highly experienced expert on Russia, Ukraine and European security. He is an Associate Fellow of the Russia and Eurasia Programme of Chatham House (having been Head of Programme 2008-11), a Senior Associate Fellow of the Institute of Statecraft, a Visiting Fellow of the Razumkov Centre, Kyiv and a former Bosch Public Policy Fellow of the Transatlantic Academy. He is the author of Hard Diplomacy and Soft Coercion: Russia’s Influence Abroad (Chatham House, 2013, published in Russian as Жесткая Дипломатия и Мягкое Принуждение), He also has published a wide range of articles and monographs, including The New East-West Discord: Russian Objectives, Western Interests (Clingendael, December 2015). ‘Ukraine: A War of Narratives and Arms’ (in The Russia Challenge, Chatham House, June 2015), The Mortgaging of Ukraine’s Independence (Chatham House 2010) and Russia and the West: A Reassessment (UK Defence Academy 2008). His latest monograph on Russia, The Militarization of Russian Policy, was published by the Transatlantic Academy, Washington DC in August 2017. He is one of the co-authors the Chatham House Report, The Struggle for Ukraine (October 2017). Mr Sherr’s interests in Russia and the former USSR date from pre-university years. His first book, Soviet Power: The Continuing Challenge, was published by RUSI/Macmillan in 1987 (revised 1991). In the post-Soviet years, he has been regularly consulted by Western governments on the foreign, defence and security policies of the Russian Federation. He has spoken at the NATO-Russia Council, the Diplomatic Academy of the Russian Federation Ministry of Foreign Affairs and has participated in a number of Track-II discussions and security forums across Europe. Since 2008, he also has been a member of the Valdai Discussion Club. Since 1995, Mr Sherr has had an active advisory role in Ukraine. He has made well over 100 visits to the country (including areas now under occupation) and has built up strong relationships with official bodies and centres of independent expertise. His articles and interviews have appeared frequently in Zerkalo Nedeli [Mirror of the Week], Den’ and other leading publications. Not least, Mr Sherr has been a frequent visitor to Estonia and its Baltic neighbours since he first journeyed to Tallinn in March 1991. We look forward to his residence in Estonia’s capital in 2019 and wish him a productive year as Senior Fellow of EFPI.